CPanel has been incorporated independently since 1997 and has been working to provide the best hosting automation tools. The tool functions include the ability to manage PGP keys, crontab tasks, mail and FTP accounts (including mailing lists). However, the reason cPanel has become so successful is due to its user friendly design and interface. Thanks to the simple yet affective design most people can learn their way around cPanel very quickly. CPanel also has add-ons to enhance the functionality of the control panel. One of the notable add-ons is Fantastico, which is a script library with an extensive collection of scripts that anyone can use on their website. With over 50 free scripts users can build almost anything online instantly. Some of the famous scripts widely used on the internet are WordPress, b2evolution, Mambo, Joomla, phpBB, SMF, etc. These scripts have different functions and all of them can be installed onto your website with a few quick clicks in cPanel. For example if you would like to build a discussion board on your website, what you need to do is to navigate to Fantastico and look for phpBB and install it. That’s all it takes to have the discussion board up and running. 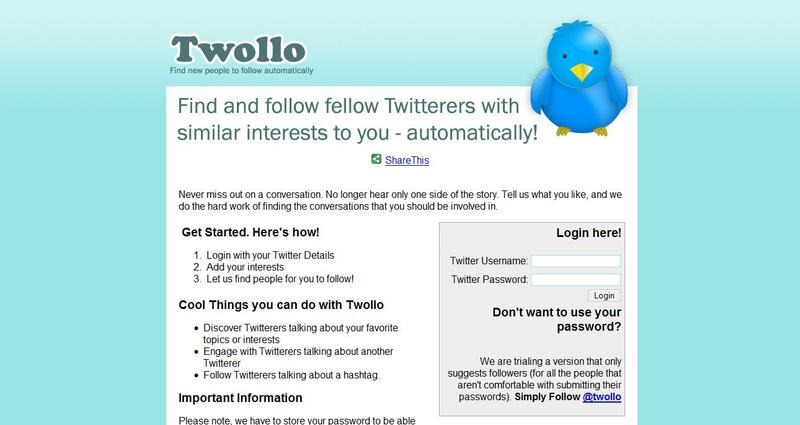 After that the only thing left to do is customize the design of the bulletin board to suit the needs of your website. On the other hand, vDeck 2.0 isn’t nearly as user friendly or convenient as cPanel. Their interface is more complicated and people have been complaining about the very slow speed of vDeck 2.0. However, things are totally different with vDeck 3.0, a recently released version of the vDeck control panel. In this version, vDeck has made some significant improvements to their interface. They have made some major changes to the way the functions are categorized and they are now very similar to cPanel’s interface. Functionality wise, vDeck is more advance in terms of e-commerce features. The community toolbar, HubSpot and search engine submission service are examples of Vdeck 3.0’s features that aim to enhance your conversion rate and internet presence. To compete with Fantastico, vDeck has Install-Central, a script library. Through Install Central, the scripts are available in the following categories, Content Management System (CMS), Blogs, Galleries, Forums, Shopping Cart and Misc. Install-Central is definitely comparable to Fantastico in terms of quality but there aren’t nearly as many scripts available. More importantly, the more popular scripts are all included which makes it easier to deal with the smaller number of scripts currently available. I believe vDeck is going to expand the list in the near future. While cPanel is famous for its user friendly interface, there are in fact people complaining that their tools are too basic. Perhaps the advanced users and coders find that there isn’t enough room for customization. So in this case these people would probably prefer vDeck to cPanel. Now that I’ve highlighted the key features of both control panels it’s easy to see why cPanel’s easy to use interface has earned them a huge portion of the control panel market. CPanel is a favorite among the more popular web hosts like Bluehost and Hostgator. In fact, cPanel is widely used for reseller hosting accounts because it’s so easy to use and is incredibly stable. However vDeck 3.0 shouldn’t be taken lightly, their features and usability are first class too. VDeck is losing badly in regards to marketing for the time being but I can see vDeck is a solid control panel with some great features. Vdeck’s programmers are doing their best to keep up cPanel. In conclusion, cPanel has definitely won the popularity contest but in terms of functionality and quality, vDeck might not be that far behind. Both control panels are rich in features. One is the world’s most popular control panel while the other is hiding in the corner serving a small portion of satisfied customers. Which control panel would work best for you? Perhaps you will only know after spending some time with both control panels. But after all, this relates to your time and money, so why risk it? This could be the reason why so many people make a conservative decision and go with the most widely used choice, cPanel. This article was a guest post written by Daren Lch. Daren runs the website WebHostingDeals.org where he takes the guess work out of choosing a quality webhost. Not only does he write detailed reviews but he does extensive research, signs up for accounts, and tests the support staff at each host so you don’t have to. Darren has been a supporter and member of JealousBrother.com for several months now and we are both appreciative and fortunate to have him. I didn’t tried vdesk yet but simplicity of Cpanelx itself make user sticky !! I’m a cPanel user myself, and I like it, especially since the upgrade at my hostserver. 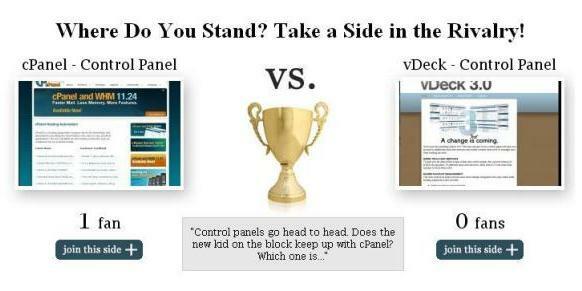 But I was not aware of vDeck, and now am wondering about the differences. cPanel can become a bit glitchy at times (and it always seems to be the most inopportune time, like when I am working on setting something up! ), but then that’s to be expected. Good article, enjoyed your review. PS I also enjoy your site (webhosting deals), I actually used your reviews there when choosing my webhost for my website. @Abhishek, ya the simplicity of cPanel is really unquestionable. But the new design for vDeck 3.0 is not bad too. Too bad vDeck doesn’t have a Demo otherwise people can take a look at it. I am a regular of the 7daybuzz as well. Tom and Kim are great. Thanks for stopping by and for the compliment. If you’re on Twitter you might enjoy the blog post I have scheduled for Monday. My hosting company uses the vDeck panel and I love it. It so easy to use in compare with cPanel. Thanks for the information. I’m currently using cPanel but I’ll try vDeck for my next website.